I am happy to announce that Dawn Frederick, owner of Red Sofa Literary is February’s Agent of the Month. Submission Guideline for a chance to get a first page Critiqued by Dawn is at the bottom of this post. Dawn Michelle Frederick is the owner/literary agent of Red Sofa Literary, established in 2008. She brings a broad knowledge of the book business to the table, bringing multiple years of experience as a bookseller in independent, chain, and specialty stores; sales, marketing, and book development experience; previously a literary agent at Sebastian Literary Agency. She has a B.S. in Human Ecology, and a M.S. in Information Sciences. 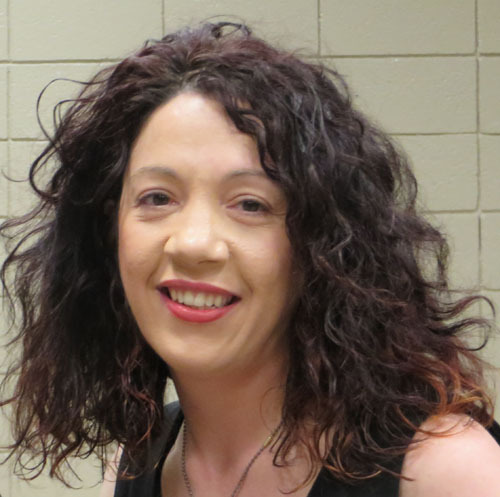 Dawn co-founded the MN Publishing Tweet Up, is the current President of the Twin Cities Advisory Council for MPR, and a teaching artist at Loft Literary. You can find her on Twitter at @redsofaliterary. · Creative Nonfiction — It needs to be smart, with noticeable platform, and commercial. I enjoy a wide range of topics. · Social Issues/Current Affairs—Women’s Studies, GLTB Studies, Social Sciences, and more. · Women’s Narratives – women’s nonfiction, diverse stories please! A some craft books that pop culture themed – think Joss Whedon, OITNB, Boardwalk Empire. Odd, offbeat, fun. More extreme sports YA novels for both genders. More GLBT novels, with diversity, but also a little more light-hearted too. I generally want books that I can emotionally connect with, that go back to the teenage Dawn who was equally eclectic then, and books that have dark, contemporary themes for both fiction and nonfiction. Nothing didactic, overly sappy, or overly boring. No memoirs, no vampires, no mermaids, no wolves, you name it. But give me a good robot book, or gamer story and I’ll be turning the pages. And last but not least, a roller derby middle grade novel would made my derby heart really happy. We highly encourage everyone to send an email and/or query letter initially, before attempting to send a full book proposal or sample chapters. If there is an interest, we will directly contact the author. Once these materials are received, there is usually response time of 4-6 weeks, sometimes sooner. If querying via email, please only put the contents of your query IN the email. We will not open attachments unless they have been requested in advance. We highly encourage everyone to email a query initially, before attempting to send a full book proposal or sample chapters. If there is an interest, we will directly contact the author. Once these materials are received, there is usually response time of 2-3 months if it’s the Fall/Spring/Winter, this will depend with our individual conference schedules and commitments to our current authors. 2. A full book proposal with Author Bio, Competition, Market (WHO will read the book), Promotion (HOW readers will learn about the book), Chapter Summaries (for non-fiction), and a Synopsis/Overview. CHECK BACK NEXT FRIDAY FOR PART ONE OF INTERVIEW WITH DAWN. In the subject line, please write “FEBRUARY FIRST PAGE CRITIQUE” Example: Paste the text in the email, plus attached it as a Word document to the email. Please make sure you include your name, the title of the piece, and whether it’s a picture book, middle grade, or young adult, etc. at the top on both the email and the Word document (Make sure you include your name with the title of your book, when you save the first page). REMEMBER: ATTACH THE WORD DOCUMENT AND NOT GET ELIMINATED!Your First Page Word document should be formatted using one inch margins and 12 point New Times Roman font – double space – no more than 23 lines – only one page. PLEASE FOLLOW THE GUIDELINES: Your submission will be passed over if you do not follow the directions for both the pasted email and the attached Word doc. This is where most people mess up. CHECK BACK NEXT FRIDAY FOR PART ONE OF MY INTERVIEW WITH DAWN.